Blueberries are low in calories and high in water and fiber so they not only help to control blood sugar but also keep you feeling fuller longer. 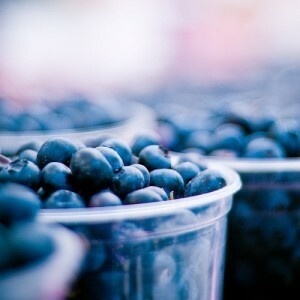 Important research is now showing that blueberries may slow and even reverse many of the degenerative diseases associated with aging and the brain, including dementia and Alzheimer’s disease. Eat more: Add them to cereal or oatmeal at breakfast, toss them in a salad for lunch or for a tasty treat dip them in yogurt and freeze. Omega-3 fatty acids help to lower the risk of heart disease. In fact it is so good for you that the American Heart Association recommends eating fish such as salmon two times per week. Salmon is also low in saturated fat and considered a good source of lean protein. Eat more: When fresh salmon is not available look for canned or frozen. Eggs are inexpensive, versatile and easy to make. 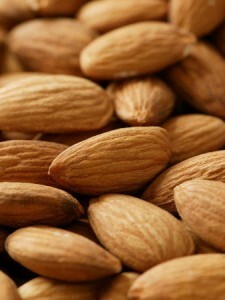 They contain 12 vitamins and minerals as well as the nutrient choline. Choline, according to WebMD helps to block fat from being absorbed in the body and can also help to prevent memory loss. Eating a breakfast high in protein will help keep your hunger away throughout the morning. Eat more: Eggs are not just for breakfast; add them to a salad, hard boiled eggs make great snacks and deviled or pickled eggs are great for appetizers and picnics. We tend to think of nuts as high in fat and calories. The key to eating nuts is portion control, be sure to stick to the 1 oz serving size! The healthy fats found in nuts are high in fiber and antioxidants which can help lower cholesterol as well as aid in weight loss. Eat more: Add nuts to your salad, sprinkle on veggies, add to a stir fry and they make a great mid morning or mid afternoon snack. Broccoli is one of the most nutrient-dense foods available and because it is so low in calories and so full of fiber it helps to curb your appetite. It helps to detoxify chemicals in your body and according to new research from John Hopkins University broccoli may contain a cancer prevention compound along with its cancer fighting abilities. Eat more: Add it to an omelet or scrambled eggs, eat it raw with a healthy dip, toss it in a salad or include it in a veggie stir fry. Research shows that the antioxidants and anti-inflammatory properties of dark chocolate contribute to a healthy heart by lowering blood pressure and increasing blood flow. 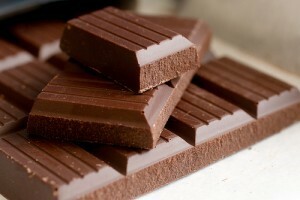 The key is to eat only dark chocolate as opposed to milk or white chocolate and to keep your portion sizes in check. Dark Chocolate is a yummy treat so I am thinking we really don’t need to find ways to eat more!